Read the series FOR FREE at RUNNERSUNIVERSE.com and connect with Sean Wang and fans of the series. Sign up for the newsletter at RUNNERSUNIVERSE.com to stay in the loop about new products, story launches, and special events! 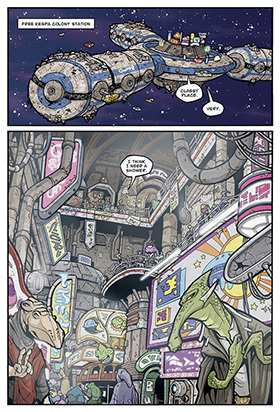 Kickstarter to Reprint BAD BOODS in color! 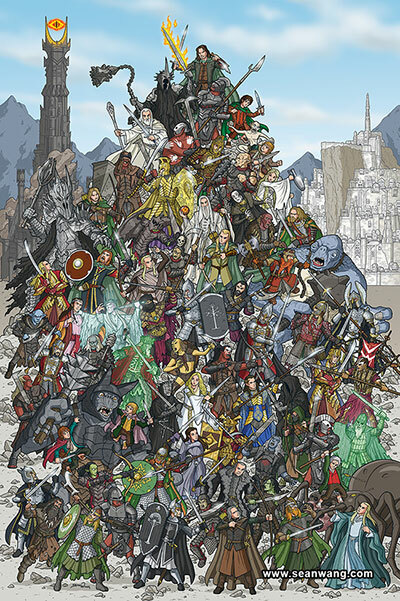 My newest art piece, The Lord of the Rings: Mountains of Mayhem, is now available at my RUNNERSUNIVERSE.com Store. 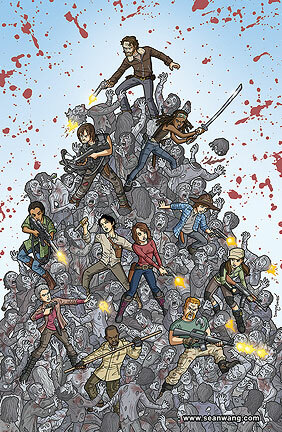 It comes in two sizes: 16x24 oversized print and 27x40 epic movie poster size! I'll be posting a new illustration everyday during the month of October to celebrate Inktober. Check out my Instagram account @seanwangart for cool ship designs and fan art from Game of Thrones, Mad Max: Fury Road, Marvel, Star Wars, and Lord of the Rings! 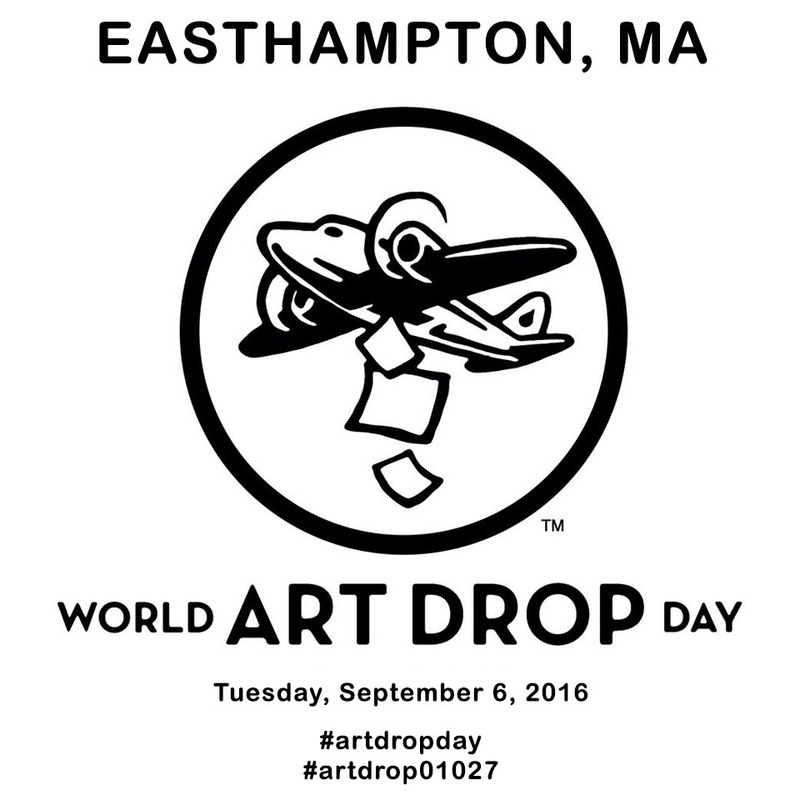 More about Easthampton's Art Drop Day on Facebook. 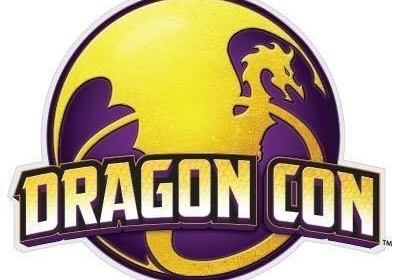 For anyone in the Atlanta area, I’ll be setting up with my sci-fi #RunnersComic at Dragon Con (Sept 2-5) in the Comic and Pop Artist Alley, Table 110K! 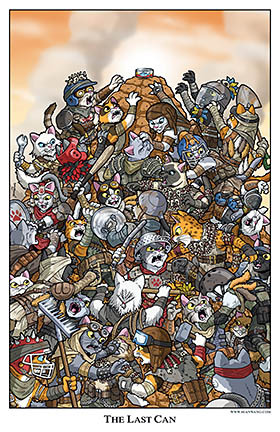 My first two 11x17 Mountains of Mayhem prints are now available at my RUNNERSUNIVERSE.com Store. I am a freelance illustrator and comic book writer/artist and have been working professionally in the industry for 20+ years. 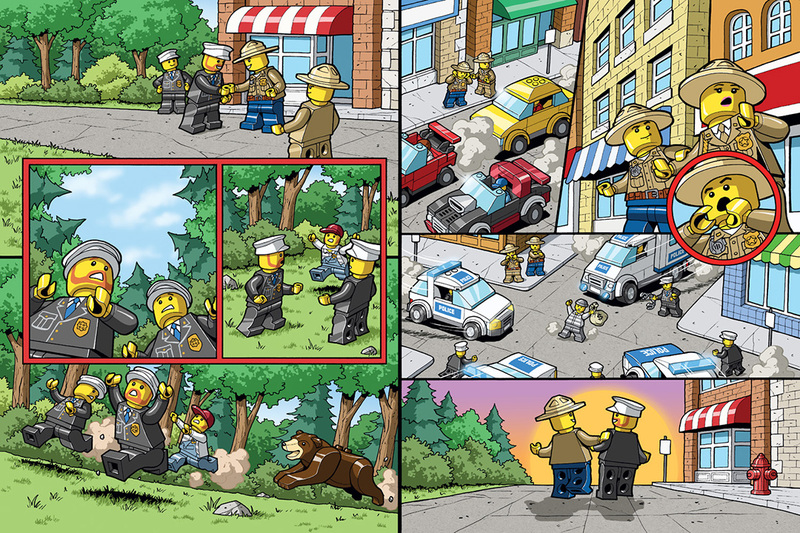 Here you will find various galleries of my comic, freelance, and personal art projects. 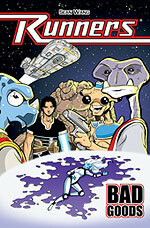 My main passion project is my self-published, sci-fi action/comedy series, Runners, which follows the exploits of a crew of alien smugglers. 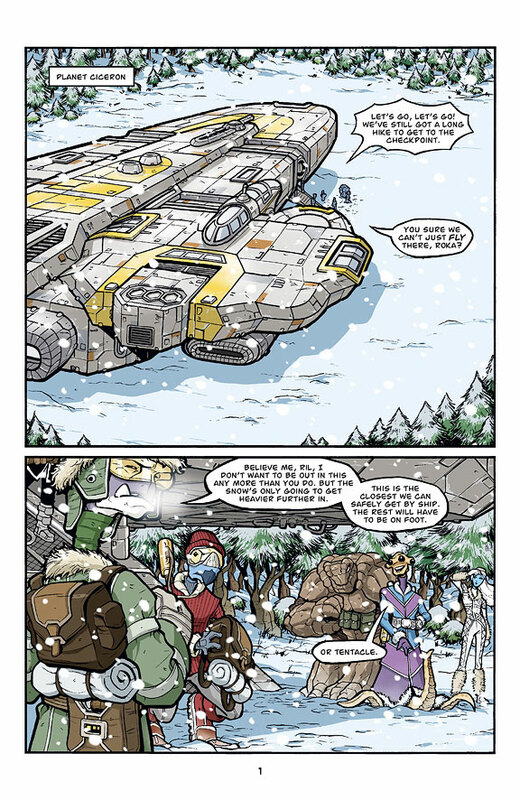 Over the years, it has received critical praise for both the writing and the art, and it is available to read in its entirety for FREE at my webcomic site RUNNERSUNIVERSE.com. 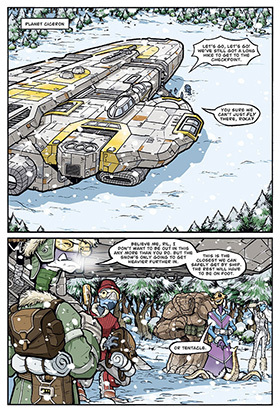 Both story arcs, Vol 1: Bad Goods and Vol 2: The Big Snow Job, are avilable online, with accompanying notes, commentary, and behind-the-scenes info for most pages. 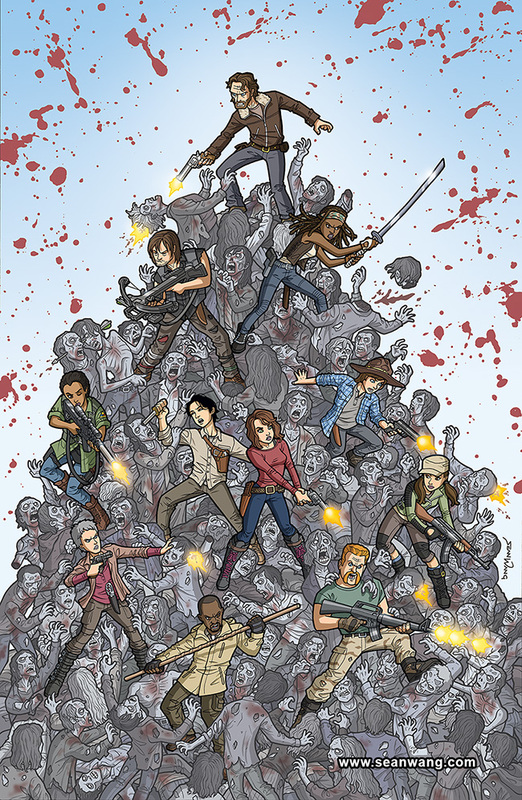 The printed graphic novels are also available at the RunnersUniverse Store, where you can also find digital PDF editions, prints, character cards, and more! Prior to working on Runners, I was the writer, artist, and cover artist for numerous Tick comics. The extensive Tick section on this site includes info on my Tick and Arthur series, seasonal specials, covers, and Circus Maximus art. 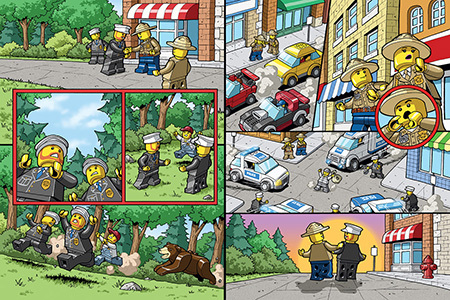 Under Illustration, there is a LEGO gallery that shows a small sampling of the many pieces I've done for the LEGO Club Jr magazines over the past several years. 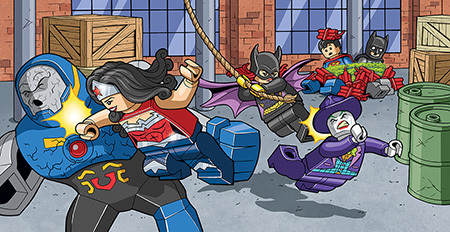 I have also illustrated numerous LEGO readers for Scholastic, including books in the City and DC Super Heroes lines. The Illustration Gallery also includes various freelance artwork, fan art, and concept design work for various video game proposals and projects. 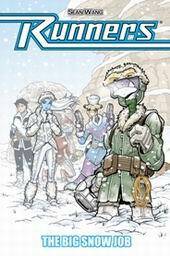 RUNNERS Vol 1: Bad Goods and RUNNERS Vol 2: The Big Snow Job are now available at the RUNNERSUNIVERSE.com Store. Site valid CSS 2.1 & XHTML 1.0 Strict.